Nurses from Fox Chase Cancer Center teamed up with the nearby AstraZeneca Hope Lodge of the American Cancer Society to provide the guests with a home-cooked meal. 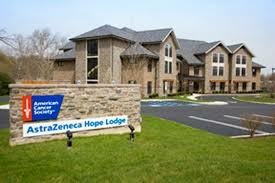 Hope Lodge offers lodging at no cost for out-of-area cancer patients being treated at Fox Chase and other cancer centers in the Philadelphia area. Led by Colleen Sherman, RN, chair of the nursing professional development council, a group of nearly 20 nurses helped prepare food for 35 guests on Oct. 19. While not everyone who cooked was able to attend the dinner, a team of 12 nurses cranked their crockpots and served up a variety of homemade soups and breads. Lodging at Hope Lodge is offered at no cost, but guests must provide their own food and are often faced with limited options such as take-out or food from a hospital cafeteria. This can make it difficult for patients in active treatment to maintain a diet that promotes good health. “It’s nice for the guests of Hope Lodge to be able to come home and get a hot, home-cooked meal at the end of the day,” Sherman said. In April, Sherman led a group of nurses in serving a taco dinner for Hope Lodge guests and she’s planning another dinner in the future. Organizers at Hope Lodge work to schedule dinners like Sherman’s Monday through Friday, and are always looking for new groups to help fill the schedule. To get involved, contact Sherman at Colleen.Sherman@fccc.edu.